Established in 1895, the Belle was the watering hole for Melbourne’s bayside criminals and vagabond – cementing a less-than-savoury reputation for years. Today the pub’s heritage has been beautifully restored and features the addition of a newly constructed indoor-outdoor Beer Garden. In collaboration with Techne Architecture + Interior Design, Pure Project, and erbas, our VIC construction team built 12 boutique apartments atop the grand dame of St Kilda, The Village Belle Hotel. The apartments are spread across three levels abutting the existing pub. Completed as part of the wider Village Belle Hotel project, our team were involved from the Design Development process, providing advice on time, cost and buildability. 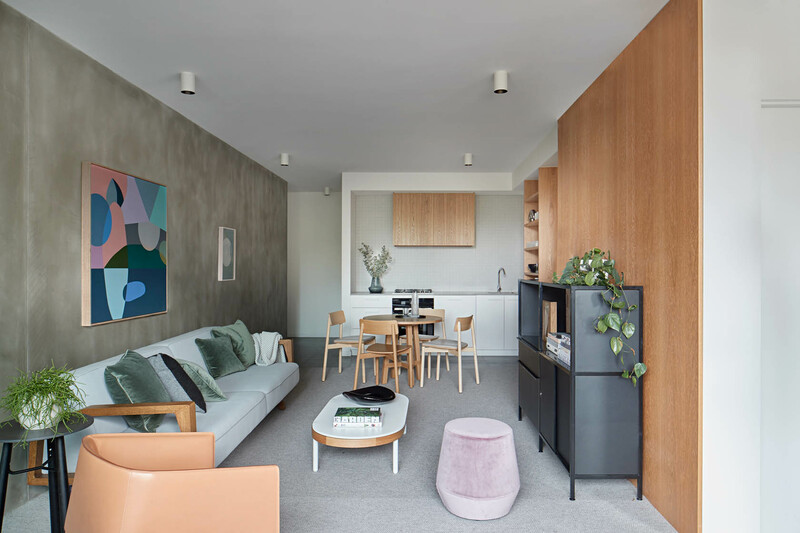 Both the one and two bedroom apartments are visually grounded in a concrete rendered wall – a connection to the richly urban lifestyle outside. Timber veneer paneling on the opposite wall introduces natural elements to create a cleverly balanced private space. 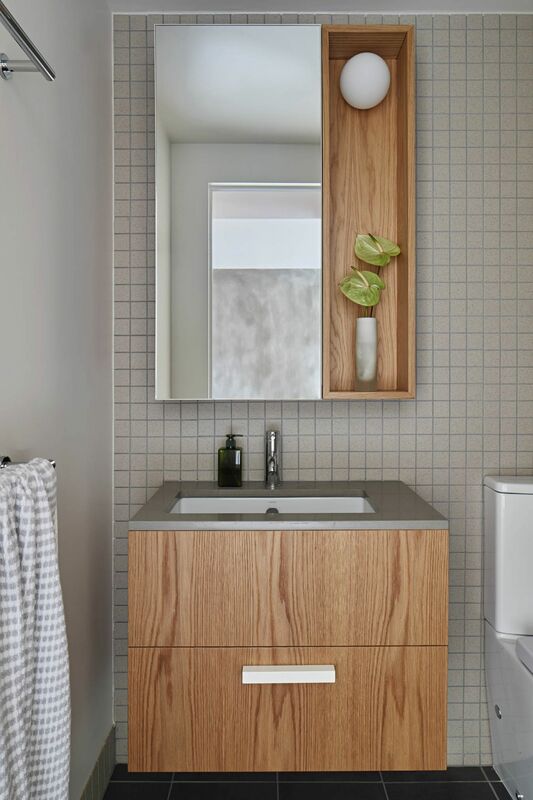 The warmth and comfort of natural elements is revisited at every major touch point of the apartments including the timber veneer kitchen joinery, bedroom wardrobes, and bathroom vanities. All 12 apartments are acoustically sealed from the lively pub below. While they share the same foundation, no apartment wall connects to the pub. Aptly named The Great Wall, the acoustic measures use elastomeric bearings for structural separation, preventing noise transference through the structure. 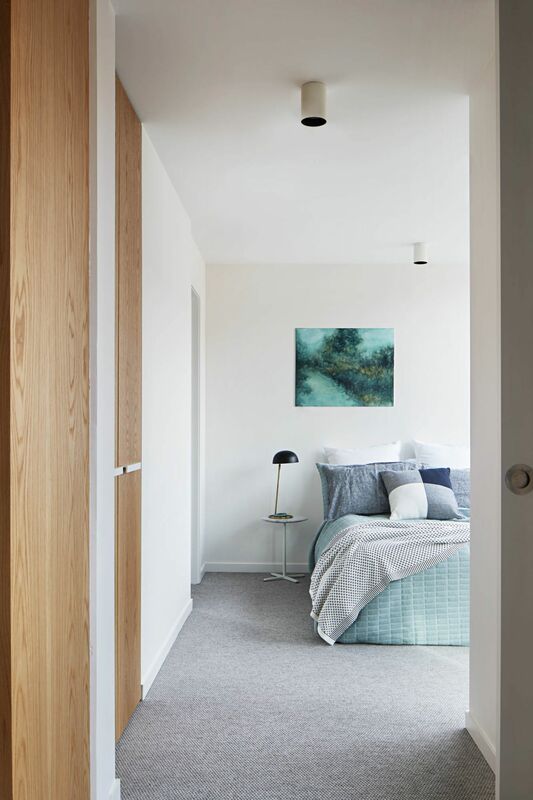 The clever construction allows tenants to enjoy the perks of living in a highly urban environment without the associated noise or disruptions. 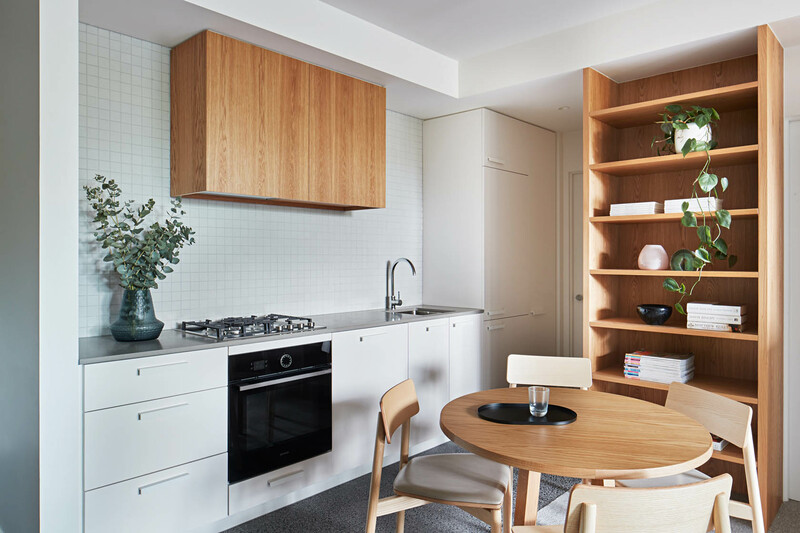 A modern addition to a heritage listed building, the apartments have a unique character; one that merges decades-long history with contemporary living. The Village Belle apartments make no compromise in balancing the old with the new, nor does it sacrifice comfort for location. Carefully crafted by our team, the charm and character of a building rich in history now mingles with modern amenities designed for style and comfort. Similarly, the high degree of construction allows for all the conveniences of living atop a landmark pub without the expected inconveniences. 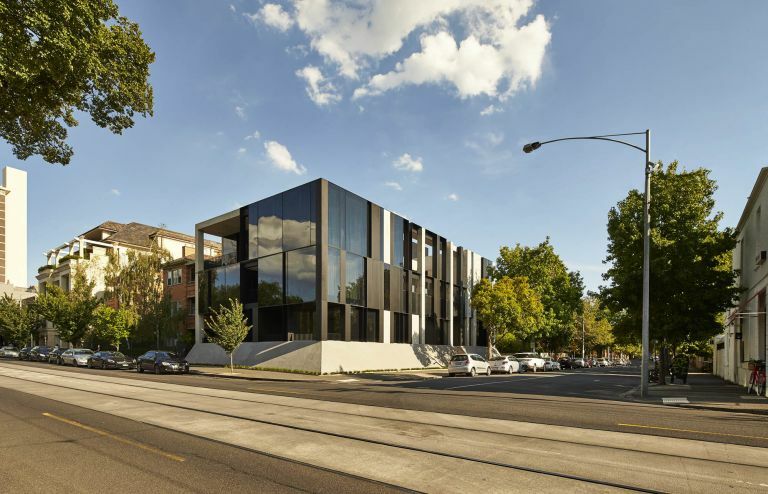 A prestigious property development and construction project for Schiavello, Domain Lodge comprises four apartments in Melbourne’s South Yarra. The 1,100sqm building floorplate of level 66 Prima Tower is divided into two bespoke apartments exuding modern refinement.